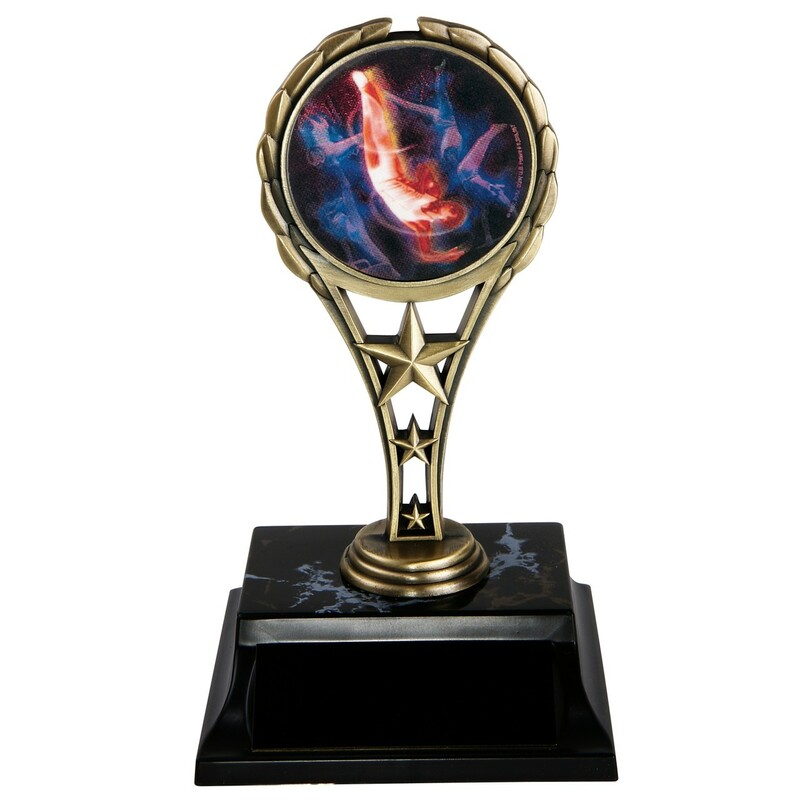 Whether you are recognizing those scoring high at a meet, or those who have improved over a season, these Tri-Star Tumbling Gymnast Metal Trophy are for you! A trio of metal stars progress in size and end with a wreath surrounding a colorful gymnast. With your choice of a male or female tumbler, this award will work for any team. Be sure to take advantage of or FREE engraving offer!